The wild and untamed, be it animal species or the tantalizing beauty of nature, the sight can trigger out the adventurous freak in anybody. Take a Wildlife Tour with us! Goodwill Holidays is a tour operating company located in New Delhi. 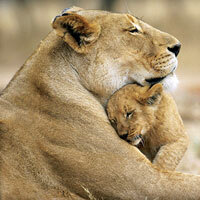 We offer Wildlife Tours to India, Dubai, Singapore, Malaysia, Nepal and Mauritius. During the tours you can explore the rarest animals, and water and avian species via many thrilling activities like water rafting, animal safaris, jeep safaris, game viewing, bird watching, etc. Our tours include comprehensive visits to various wildlife sanctuaries and national parks. We would also book a restful accommodation for you inside the sanctuaries and parks so that you can see the animals and rich flora while you are still in your room. All our tours are very safe.